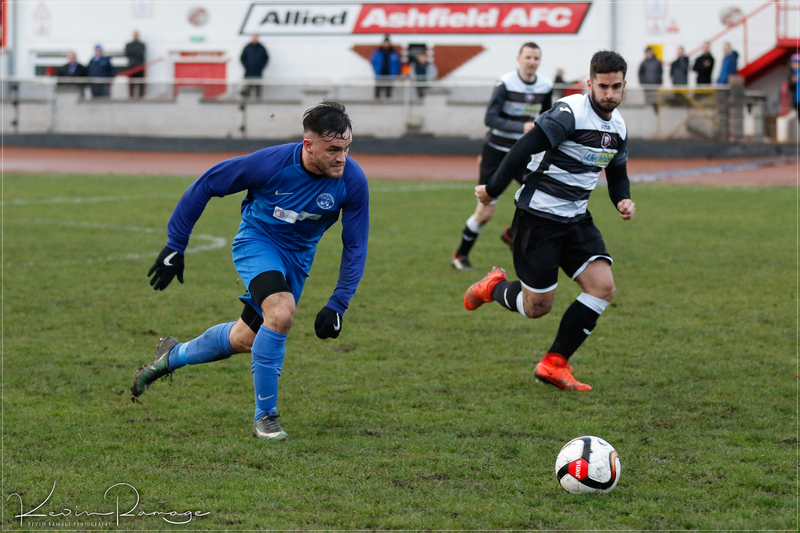 Ashfield FC vs Carluke Rovers FC - Sat 1 December 2018 - Carluke Rovers FC Rovers were dealt a huge double blow prior to kick off on Saturday against Ashfield Juniors when striker Ciaran Lafferty reported sick and captain Mark Weir pulled up during the warm up with a yet to be diagnosed calf problem. Ross MacNeil and Dominic Chiedu came into the starting line up on a slippery surface which the home side settled into more comfortably and confidently than Carluke. On fifteen minutes Rovers received a warning of things to come in the first half when Dave Cherrie dived low to his left to turn a close range shot round the post after Rovers defence failed to cut off the supply of cross balls into their box. Rovers again failed to heed the warnings two minutes later when Ashfields unmarked centre forward was presented with a free header inside the six yard box which he flashed across the face if goal for his fellow striker to tap into the net. Rovers had rarely threatened the home sides goal creating their first real scoring chance after 35 minutes when Chedu threaded a pass to McNeil on the right edge of the box with his snatched shot hitting the side netting. 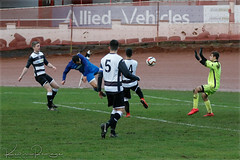 Ashfield went two ahead with eight minutes of the half remaining following another deep cross from the right to Rovers back post which was headed down to the feet of the Ashfield centre forward who stroked the ball into the net from twelve yards. With seconds remaining in the first half Cherrie pulled off a fantastic reactionary save when he tipped a 25 yard net bound shot round his right post. Half Time Ashfield 2 Carluke Rovers 0 Rovers pulled a goal back straight from the restart as the ball was passed back to the home sides keeper who was unaware of Eddie Haley sprinting towards him and took his eye off the ball allowing Haley to poke the ball through his legs into the net. The goal seemed to inject belief into the whole Rovers side with Craig Grierson tirelessly running at the Ashfield defence and linking the play freely from midfield to the Rovers strikers. With Rovers now mounting attack after attack they scored an equaliser on 75 minutes when Grierson set Fitzpatrick free down the right wing who's cross met the head of Sam Biggart who angled his header into the net from close range. With ten minutes remaining Rovers took the lead when the standout player of the game Grierson started and finished a well constructed attack ending in him finding the net with a neatly placed side foot shot from 12 yards. 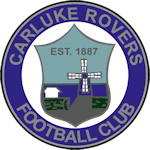 Rovers were dealt a huge double blow prior to kick off on Saturday against Ashfield Juniors when striker Ciaran Lafferty reported sick and captain Mark Weir pulled up during the warm up with a yet to be diagnosed calf problem. 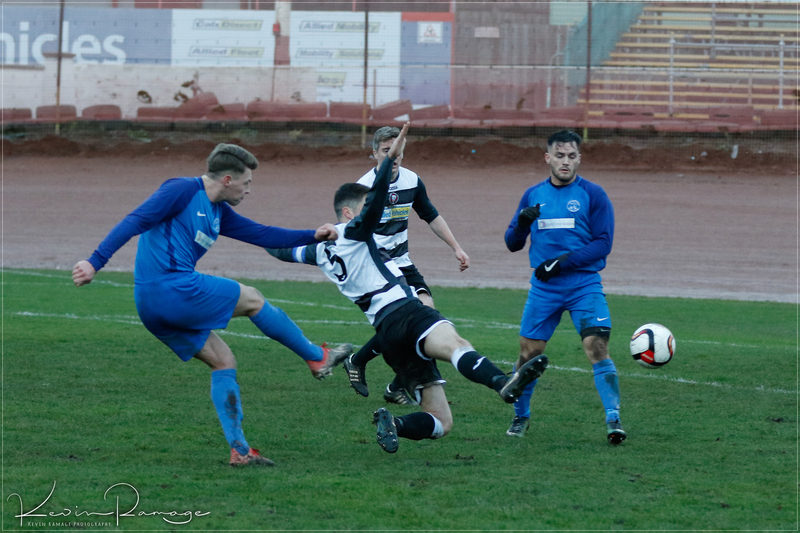 Ross MacNeil and Dominic Chiedu came into the starting line up on a slippery surface which the home side settled into more comfortably and confidently than Carluke. On fifteen minutes Rovers received a warning of things to come in the first half when Dave Cherrie dived low to his left to turn a close range shot round the post after Rovers defence failed to cut off the supply of cross balls into their box. Rovers again failed to heed the warnings two minutes later when Ashfields unmarked centre forward was presented with a free header inside the six yard box which he flashed across the face if goal for his fellow striker to tap into the net. Rovers had rarely threatened the home sides goal creating their first real scoring chance after 35 minutes when Chedu threaded a pass to McNeil on the right edge of the box with his snatched shot hitting the side netting. 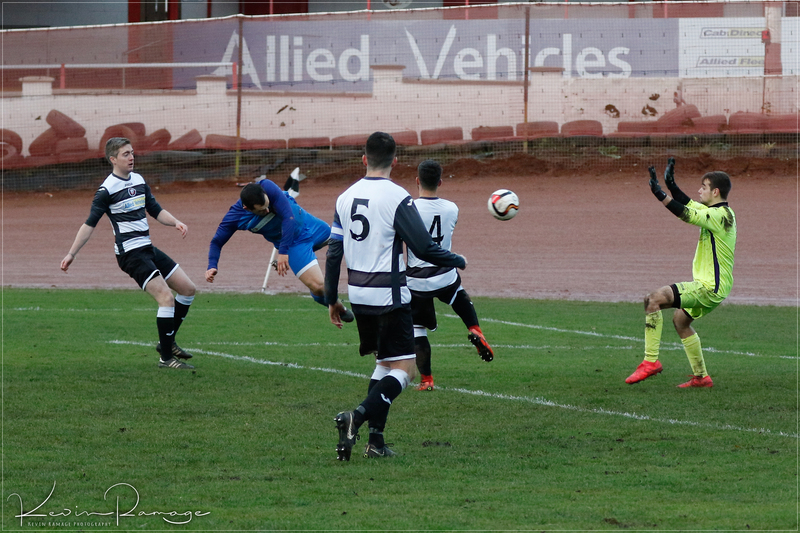 Ashfield went two ahead with eight minutes of the half remaining following another deep cross from the right to Rovers back post which was headed down to the feet of the Ashfield centre forward who stroked the ball into the net from twelve yards. With seconds remaining in the first half Cherrie pulled off a fantastic reactionary save when he tipped a 25 yard net bound shot round his right post. Rovers pulled a goal back straight from the restart as the ball was passed back to the home sides keeper who was unaware of Eddie Haley sprinting towards him and took his eye off the ball allowing Haley to poke the ball through his legs into the net. The goal seemed to inject belief into the whole Rovers side with Craig Grierson tirelessly running at the Ashfield defence and linking the play freely from midfield to the Rovers strikers. With Rovers now mounting attack after attack they scored an equaliser on 75 minutes when Grierson set Fitzpatrick free down the right wing who’s cross met the head of Sam Biggart who angled his header into the net from close range. With ten minutes remaining Rovers took the lead when the standout player of the game Grierson started and finished a well constructed attack ending in him finding the net with a neatly placed side foot shot from 12 yards.